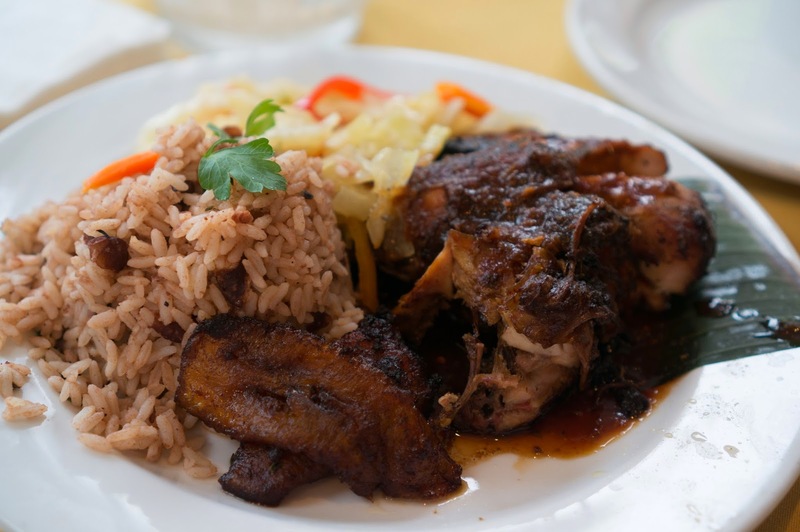 Jamaican Jerk Hut : Philadelphia, PA! | Fallon Chan Fallon Chan: Jamaican Jerk Hut : Philadelphia, PA! We came here after watching Diners Drive-ins and Drives on the food channel and it did not disappoint! We went there at 6pm and had a reservation since we had 12 people but there weren't any other customers at that time. Originally when we got there, we were worried that the food would not meet our expectations but we decided to stay and order what was highly recommended from the show. Our waitress was extremely helpful and nice since some of us has never been to a Jamaican restaurant before. She explained what was on the menu and was patient with us when we weren't sure what to order. 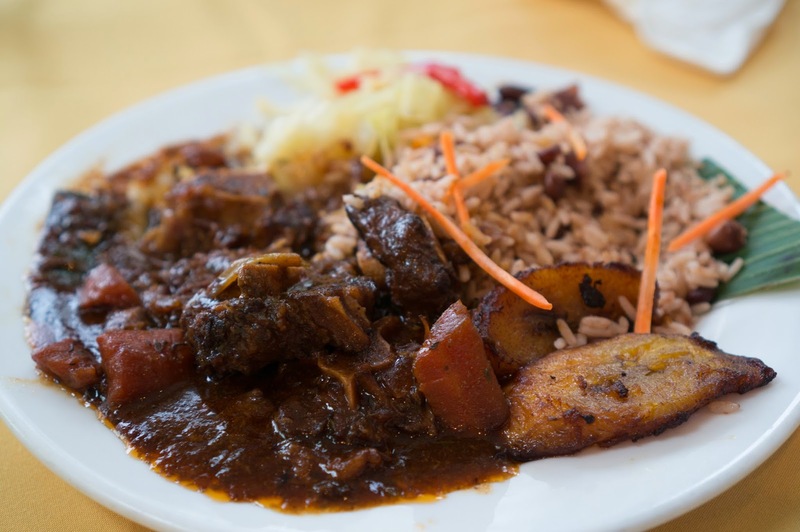 We ordered the jerk chicken and oxtail curry off of their menu. Our orders did take awhile to come out but the food did not disappoint. all of the dishes came with rice & peas, Jamaican cabbage, and fried plantains. I really enjoyed the rice which had a coconut milk aroma to it but I can't be sure. The fried plantains were also sweet and were delicious. So far any place that I have seen on food network did NOT disappoint! Jerk Chicken - Breast - The chicken was moist and the jerk sauce had a good amount of spice. Oxtail curry - My first time eating oxtail, EVER! It was interesting and it reminded me of pigs feet because of the cartilage.